12 Ways To Save Money By Selling Your Twin Cities Duplex With A Realtor | Your best resource for buying, selling, owning and investing in duplexes and duplex homes. In this tough housing market, many property owners are attempting to save money by selling their duplexes themselves. On the surface, this line of thinking appears to make sense. Most Realtors in the Twin Cities market charge anywhere from 5-7 percent to list and sell a property. Why not save this money? After all, if you’ve already lost equity in the changing market. While this seems logical enough, it is, in fact, a myth. I know what you’re thinking. “She’s a Realtor, of course she’s going to say that.” So let me offer some proof. 1. You’ll Under Price Your Property. I try to stop in to as many For Sale By Owner (FSBO) properties as I can. Sometimes I have a client looking for a very specific property, and for all I know, the one down the street with the hardware store sign might be it. On more than one occasion, the minute I got in my car to drive away, I was on my cell phone, looking for a buyer. In one instance, I knew immediately the owner had under-priced his property by at least $70,000. By the time I found an interested party (the next day), it had been sold. To a Realtor. Once upon a time, it was possible to put a sign from the hardware store and sell to someone who happened to drive by. Heck, there was even a time when buyers drove up and down the streets looking for “for sale” signs. Today’s consumers, however, can’t afford the gas. And they are incredibly Internet savvy. They scour the MLS looking for their dream home, using multiple web sites and search engines. If your property isn’t on the net, it almost might as well not be for sale. Most agents I know are, at any given time, working with between eight and twelve buyers. Usually these are people at various states of readiness; often simply looking for the perfect opportunity. Realtors frequently ask other agents if they know of anyone who has or is looking for a specific property; with many sold before they ever hit the MLS. We all know demand helps raise the price. If one knows about your home, it won’t sell for as great of a number as it would have were there multiple buyers vying for the chance to own it. In the Twin Cities there are a couple of companies that, for a fee, will help an owner sell his or her investment property. Fees typically range from $100-$300. The MLS is, essentially, a co-op among real estate brokers. It’s a way for Realtors to share information about the inventory they have. Putting a property on the MLS, is like saying, “Hey, if you bring me a buyer, I’ll pay you this.” Payouts to buyer’s brokers in the Twin Cities market average between 2.7 and 3.5 percent of the sales price. Now all you’re saving is the other half of the original 5-7 percent commission. Most FSBO services offer the additional option of having one of their in-house agents help you with pricing your property. Of course, this is for an additional fee; usually in the neighborhood of $100-$200. Have you noticed how skinny the Sunday real estate sections of the local papers have gotten. Ever wonder why? Yes, it’s the Internet. And, it’s that the Star Tribune actually charges over $100 per Sunday to list a house in the classifieds and open house directory. Signs cost money. Lock boxes cost money. Brochures cost money. If you sell your home yourself, you will be responsible for paying all of the advertising costs out of pocket. When you use a Realtor, he or she pays these expenses and isn’t reimbursed unless/until the property sells. 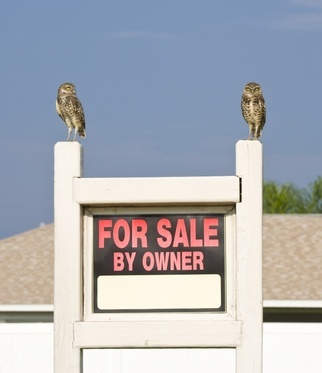 It’s difficult, even for the most seasoned agent, to properly price a multi-family property. Variables like numbers of bedrooms and heat sources come into play, as does amount of rent and property taxes. While features like upgraded kitchens come into play, they don’t necessarily justify pricing your home $50,000 higher than the one down the street. Believe it or not, buyers watch properties.If it’s out of their price range, they wait for it to drop. Even in this market, they don’t necessarily believe that you want any amount less than sticker price, and therefore, don’t look at the property at all. Again, no demand. When a listing lingers without selling, they start to think, “I wonder what’s wrong with it.” They never stop to think that it might be as simple as $1 million might be too much to ask for two one bedroom units. And it may be precisely because of this that statistics prove time and again that the longer a property is on the market, the less it ultimately sells for it. Many FSBOs don’t feel comfortable leaving a lock box on their door. Some believe this a matter of tenant safety. Others simply want the opportunity to share information about the home. In any case, this requirement means time off of work, or lost evening opportunities. The same is true of those important Sunday open house opportunities. Buyers who are not represented by an agent usually want to take advantage of all that money you’re saving by selling it yourself. If you’re not willing to share, then they often fail to see any advantage of not having a Realtor’s representation. If you are successful in selling on your own, you will likely need to either pay one of the FSBO services to help you with the paperwork, or an attorney. This can cost as much as an additional $700. If you’re in the unfortunate position of being “upside down” (owing more on a property than it’s worth), and are facing either a short sale or foreclosure, time is of the essence. While you may not pocket any proceeds from the sale of the property, you will not only be taxed on the bank’s loss, your credit will be adversely effected (more by a foreclosure than a short sale). Most of the banks are swamped right now. Spending time on hold with them as you negotiate a short sale, once again means time lost on the job and endless hours of frustration. A Realtor handles these details for you, and likely has experience. This can result in a faster sale for more money, which will prove beneficial on April 15th. So once you did all of the marketing, bought the ultimate FSBO kit from a vendor, and your home still didn’t sell. And for whatever reason, you need to move. Now what? You call a Realtor; leaving you out not only all the money you spent, but the original commission you were trying to avoid.